warm feeling in your heart. My sister Linda and I… finally grandmas. Finally Grandmas, and now I get all that gushing talk about grandkids!! And the warm feeling in my heart. 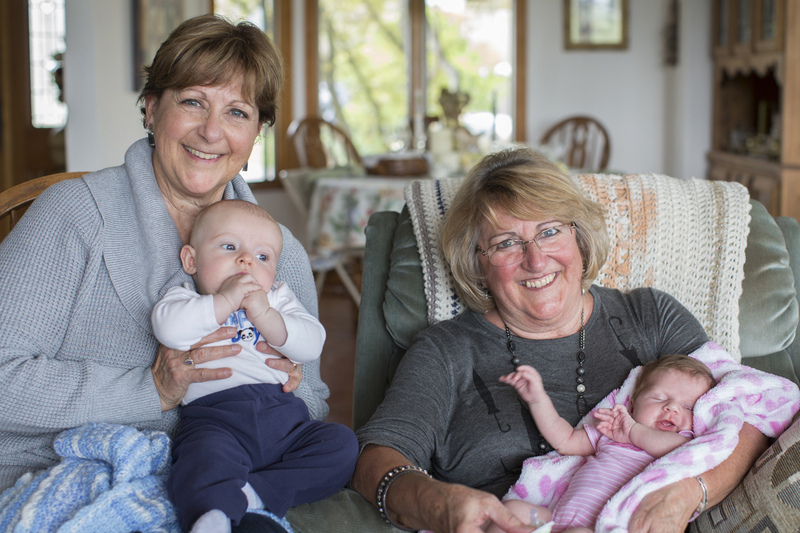 Two beautiful Grandmommies and their beautiful Grandbabies…..Love it! Beautiful picture. There is nothing like it, enjoy. It looks like Kenzie is doing the hula!